Don’t panic, summer isn’t over just yet! So some of you might remember last year we shared our tried-and-tested Pimm’s Ice Lollies recipe (make sure you check it out if you haven’t already). Well to celebrate the new ‘Say Aloe’ aloe vera drink, we were challenged to reboot last year’s recipe and come up with a fun and exciting twist. And here it is, our recipe for Say Aloe Margarita Ice Lollies. 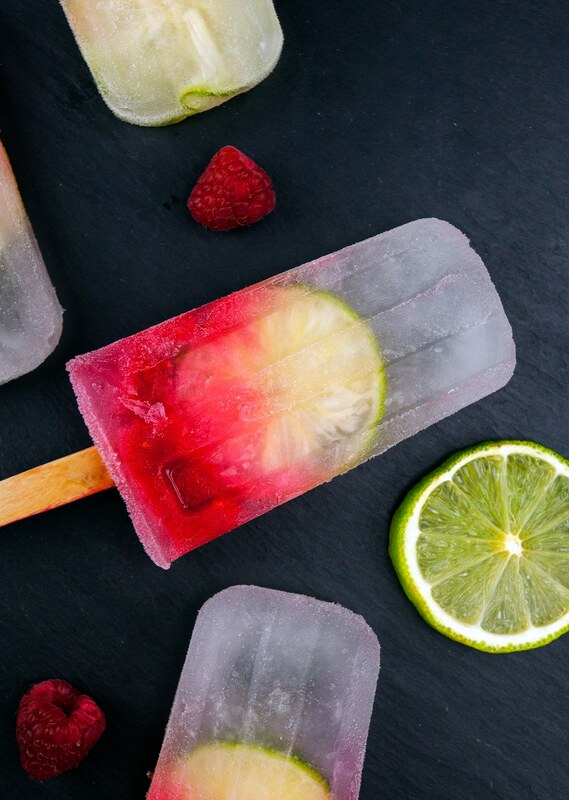 More sophisticated, more boozy and even more satisfying, these cocktail-inspired ice lollies are the perfect way to see summer out with a bang. Top tip: it’s worth checking on the lollies when you freeze the margarita layer. You want the margarita layer to be ever-so-slightly under frozen so it blends with the raspberry layer. 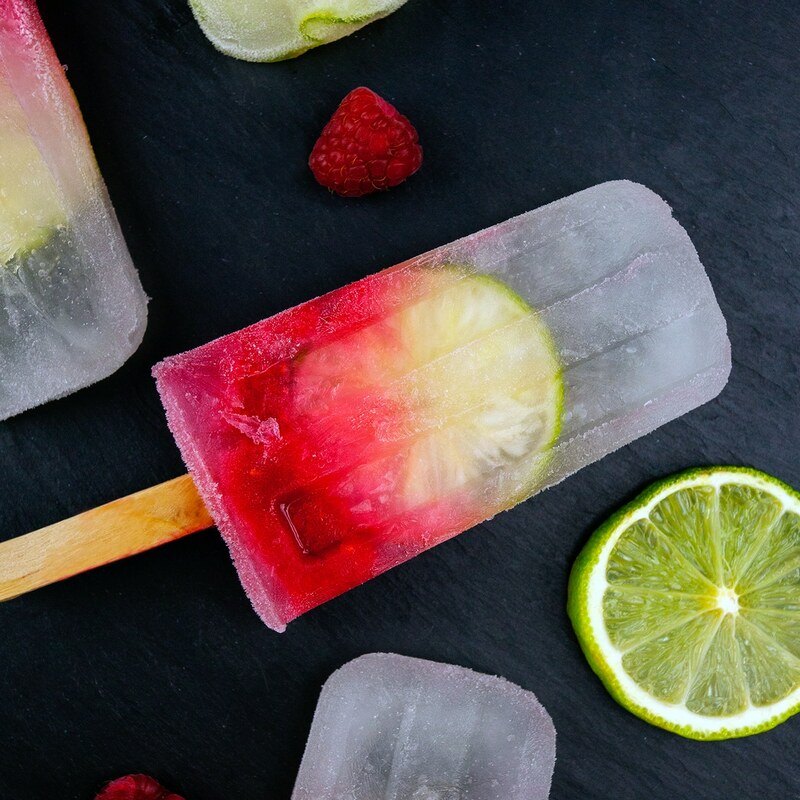 Our recipe uses the new-look ‘Say Aloe’ aloe vera drink, along with traditional margarita ingredients and an extra raspberry layer to give the lollies a vibrant boost of colour. Combine the tequila, triple sec, juice of half a lime and the ‘Say Aloe’ aloe vera drink and stir. Then pour the liquid into the ice lolly moulds, leaving roughly a cm gap at the top of each mould. Place one slice of lime into each mould. Then place the lid on top of the moulds and insert the ice lolly sticks. Transfer the ice lollies to the freezer and freeze for a minimum of 4 hours. Just before the lollies are ready to be removed from the freezer, prepare the raspberry layer by blending all the ingredients until smooth. Next, remove the lollies from the freezer and fill the remaining gap in each mould with the raspberry liquid. Ideally, the margarita layer should be ever-so-slightly under-frozen, which should mean the raspberry layer will blend nicely with the liquid below. Place the lollies in the freezer again for a minimum of 4 hours, but ideally overnight. Don’t worry about placing the lid back on the moulds because the sticks should already be frozen in the lollies. Remove the lollies from the freezer and run a little warm water over the moulds for a few seconds to make them easier to remove from the moulds. The lollies should feel stiff and they should be quite difficult to remove from the moulds. If the lollies are loose, then return them for the freezer for another hour or two. Grace Say Aloe isn’t your average drink. From an unusual flavour that you’ve never experienced before, to pieces of aloe vera which give the drink it’s unique texture, it’s a total reboot of the ordinary.